Conspiracy theorizing about the Christian Right’s supposedly “secret” agenda involves highlighting the hate-mongering and bizarre ideas of a handful of Christian Right players while neglecting the broad popularity of dominion theology. For the past several decades the political Left has focused attention on the Christian Right’s political activism in America. Particularly, the Left has been highly critical of a select group of dominionists called Reconstructionists, whose aggressive verbiage, extreme Calvinist theologies, and religious political agendas have made it an ideal target for outrage. But, as Leftist researcher Sara Diamond has astutely observed, “the Reconstructionists’ religion of Calvinism. . . makes them unlikely to appeal to most evangelicals.”4 Indeed, few Reconstructionists would consider themselves to be evangelicals. Nevertheless, their influence has been considerable over the much larger group of patriotic evangelicals. There are two other dominionist sects within evangelicalism that have escaped in-depth scrutiny from the Left. These dominionists have been able to function virtually incognito for several reasons: 1) They have been deeply embedded within the evangelical subculture; 2) They cloaked their dominionism with new terminologies and doctrines over a period of thirty years; and 3) They figured out how to package dominionism using sophisticated mass marketing techniques. Also noteworthy: these two other dominionist camps have been operating in a dialectical fashion – while one group appealed to the TBN charismatics with all of its emotional excesses, the other group carefully managed its more intellectual public image to conform to traditional evangelical standards. This paper is a brief overview of the three main dominionist movements operating inside evangelicaldom and examines how all three of these sects are now converging around a global “kingdom” agenda. This paper is not a treatise on doctrine, nor is it an historical record, nor is it a thorough analysis of the multifarious streams of evangelical dominionism. This paper does not cover the broader issue of dominionist sects within other world religions, except for a few brief noteworthy mentions. To examine the totality of the individuals, the organizations, and their cross-linkages would require an exhaustive study which is beyond the scope of this brief synopsis. Even so, every point made in this paper could be validated by dozens, sometimes hundreds, of pieces of documentation. The inquiring reader may check out the footnotes and references. Only a small handful of Christian discernment and apologetics ministries, of which this writer is a part, have been paying attention to the intersection of the dominionist streams. The apologetic ministries fulfill a Scriptural role to examine and expose false doctrines and teachers, and to warn other believers of heresies (Jude 3, 2 Peter 2:1). Increasingly, over the past two decades, many apologists have become seduced by dominionism, blunting their ability to critically examine the roots and fruits of this rapidly rising new church era. Dominionism is always an aberration of true Christian theology. A remnant of believers has always opposed it, often suffering a martyr’s fate at the hands of intolerant dominionists. The Gospel of Salvation is by faith in Jesus Christ and His shed blood on the cross. The emphasis is placed upon repentance and conversion of individual souls. The Kingdom of God in this age is spiritual and grows through efforts of evangelism based on teaching the Bible. It is “not of this world” (John 18:36), but a spiritual rule in the hearts of men (Luke 17:20-21). Furthermore, the Kingdom of God is only finally realized upon Christ’s second return to Earth, whereby He Himself establishes His literal and physical reign. Dominion theology is a heresy. As such it is rarely presented as openly as the definitions above may indicate. Outside of the Reconstructionist camp, evangelical dominionism has wrapped itself in slick packages – one piece at a time – for mass-media consumption. This has been a slow process, taking several decades. Few evangelicals would recognize the word “dominionism” or know what it means. This is because other terminologies have been developed which soft-sell dominionism, concealing the full scope of the agenda. Many evangelicals (and even their more conservative counterparts, the fundamentalists) may adhere to tidbits of dominionism without recognizing the error. This is because dominionism has “crept in unawares” (Jude 4) to seduce an undiscerning generation. To most effectively propagate their agenda, dominionist leaders first developed new ecclesiologies, eschatologies and soteriologies for targeted audiences along the major denominational fault lines of evangelical Christianity. Then the 1990s Promise Keepers men’s movement was used as a vehicle to “break down the walls”, i.e., cross denominational barriers for the purpose of exporting dominionism to the wider evangelical subculture.7 This strategy was so effective that it reached into the mainline Protestant denominations. Dominionists have carefully selected leaders to be trained as “change agents” for “transformation” (dominion) in an erudite manner that belies the media stereotype of southern-talking, Bible-thumping, fundamentalist half-wits. There are three predominant sects (or movements) that propagate dominion theology which hold considerable influence over evangelicaldom. 1. SPIRITUAL WARFARE PRAYER movement: The Kingdom of God must be advanced on Earth through hyper-spiritual “warfare” activities against the devil. A veritable supermarket of verbal and physical prayer techniques such as chanting, walks, and marches are employed in this effort. Believers are told their prayer power creates spiritual “canopies” over regions, preparing the way for “revival.” In this sense, prayer warfare is seen as preparatory work so that the other two movements can build the kingdom. Recently the contemplative prayer movement – which includes meditation, fasting, and labyrinths – has been brought into the spiritual warfare prayer “arsenal.” Prayer serves as a convenient decoy for covert operations. All three sects are utilizing massive statistical databanking resources (e.g., the World Prayer Center in Colorado Springs) and sophisticated psycho-social group manipulations to forge kingdom “transformation.” One key leader of this sect is Cindy Jacobs, who is closely associated with C. Peter Wagner (see below). Her website http://www.generals.org epitomizes the militant doctrines and practices of the spiritual warfare sect. 1. The Kingdom of God was inaugurated and the King was installed and seated in the First Century A.D. and we need not wait for the King's second coming to get the Kingdom started here on earth. 4. At this moment of history, all humans on earth, whether Jew or Gentile, believer or unbeliever, private person or public official, are obligated to bow their knees to this King Jesus, confess Him as Lord of the universe with their tongues, and submit to His lordship over every aspect of their lives in thought, word and deed. While Leftists focused their attentions on political dominionists in American politics and what was going on in Iraq, the three movements went global. This new confederation of dominionists has been rapidly advancing its kingdom across the globe through “economic, social, political and spiritual transformation.”18 To achieve this paradigm shift, the global dominionists have employed sophisticated psycho-social methodologies, statistical research, socio-economic development tools, marketing research, strategic planning, assessments, databanking and monitoring, and technical assistance. They are also aggressively forming alliances with national and international governments, corporations, individuals, private agencies, philanthropic groups and other entities. Below are some key examples of this rapid convergence around a global kingdom worldview. 1. Global “spheres.” Observers from the Left were infuriated when the Coalition on Revival political dominionists cranked out documents during the 1980s addressing a Christian worldview in seventeen “spheres” of life and ministry – education, health care, the family, the arts, sciences, law, media, government, business, etc. This is because COR didn’t just write a philosophical statement. COR “determined that it is mandatory for all Christians to implement that worldview in society, particularly as it applies to the dominionist interpretation of the Great Commission.”19 These spheres didn’t disappear when COR began to fade off the radar screen. They have a new life. The worldview sphere documents have now gone global by becoming incorporated into mission agendas. Mission groups are now partnering with national and international governments, business corporations, NGOs, humanitarian entities and others to build their kingdom in the cultural spheres of selected nations around the globe. In addition to its message of compassion, the [Saddleback Church AIDS] conference sought to impart several other points emerging from Warren’s global P.E.A.C.E. plan. What is required is a change of heart. The heart of the nation is the marketplace—the combination of business, education and government, the three arteries through which its life flows. If we take God’s power and presence to the marketplace we will see nations changed . . . .
To change a man you must first change his heart. This approach, of course, is typical of missionary organizations. Silvoso’s idea, though, is far more radical. Cities can be changed in nature. Countries can be redeemed. Entire cultures can be brought to "salvation." The land itself, in fact, can be healed. And such a miraculous change is brought about through one primary avenue: God working through the marketplace. . . .
5. Militant rhetoric. There is a notable increase in the stridency and urgency of “strategic level” prayer warfare rhetoric which is linked to global “transformation” (dominionism).33 False prophets regularly pump out new “prophecies” and “decrees” to shore up the kingdom mandate. These “prophecies” function like oracles – they are a major avenue for communicating “God’s plan” for the next step in kingdom-building. False apostles have been anointed, appointed as leaders of regions around the globe, and charged with wielding the king’s authority. The doctrines of the New Apostolic Reformation have been promulgated throughout the mission movement by C. Peter Wagner, Cindy Jacobs, Chuck Pierce, Bill Hamon, a group known as the “Kansas City Prophets,” the Vineyard Fellowship, and many others. At the highest echelons these organizations all have interlocking boards of directors. Two noteworthy internal organs for disseminating false prophecies and new doctrines include The Elijah List and Joel News. 9. Leftist dominionists. Evangelical Leftists (Tom Sine, Ron Sider, Jim Wallis and others) have always hobnobbed with the dominionists.54 Many of the key Leftist dominionists have been coalescing around an agenda to eradicate world poverty, laboring with Rick Warren to implement the United Nations’ Millennium Development Goals. Micah Challenge is one of the key organizations operating in this realm. A number of international mission networking agencies have formed alliances around these mutual kingdom aspirations. Working to end poverty may seem laudable on the surface. But scratch the surface and dominionism appears.55 Charity is not what it seems. Charity is a vehicle to maneuver dominionism into the best possible international publicity spotlight. And altruistic appeals for charitable sacrifice are a mechanism to sign up recruits in the billion man army. The Church is "God's primary instrument of transformation within the local community," says Tunnicliffe, chair of Micah Challenge Canada and international director of the World Evangelical Alliance (WEA). Canadian churches and Christian organizations must evaluate what they're doing to serve the poor. They must keep themselves informed about issues surrounding poverty, and strive to find meaningful, practical outlets for people to respond. . . . While in Washington, the group also met with the new president of the World Bank, Paul Wolfowitz, who reportedly told the Christian leaders that the Church could become a more significant player in the role of responding to global poverty. 10. The church militant. Since 9/11, patriotic fervor has combined with the neoconservative goals, and there is a disturbing rise of actual military activity for “kingdom-building” purposes. This activity is especially alarming because it encompasses all three major dominionist sects. Dominionist cult leader Bill Gothard has set up paramilitary training camps for evangelical children.57 Christian Right leader Michael Farris, connected with Coalition on Revival (COR),58 is recruiting homeschoolers for CIA-type training at his Patrick Henry College.59 At http://www.goarmy.com/hslda/ one can see how the Army is recruiting homeschoolers, many of whom are active in the patriotic dominionist sect. From this posture we will be strengthened as a mighty warrior and equipped to encounter the plots of the adversary set against this generation. The Lord is a Warrior and we are to be clothed in His militant attributes as it relates to the enemy who dwells in heavenly places. . . . There will be times and seasons to hide ourselves in Christ and other times to be aggressive and militant in our posture. The seasons that we isolate ourselves with Christ is not for dormancy but to wait upon Him and minister to Him to gain His insight and blueprint for victory. . . . There will be a marked escalation in the angelic activity surrounding the Church. Furthermore, this activity will carry a militant characteristic as Michael and the warring angels of Heaven are released to establish the design of Heaven in the earth. As in the days of Israel, the giants of the adversary are occupying the land of promise and must be displaced in order to access our inheritance. . . . Fulfilling the kingdom mandate is seen as so critical that the “end justifies the means.” Rick Warren has advocated for a philosophy of “do whatever it takes” to achieve his global P.E.A.C.E. Plan.64 Putting forth the global hunger and AIDS crises as a rationale to further the dominion kingdom has proven to be a brilliant strategy. The new gospel of pragmatism, combined with emotive pleas for compassion, is superseding any ethical or doctrinal concerns about the legitimacy of the emerging Church-State-Corporate partnerships. Eradicating global poverty for all is a key priority for Christians, but specific attention also needs to be paid to the scandal of inequality and deprivation within the world-wide Christian community, says Mennonite World Conference (MWC) executive secretary Larry Miller. Mr Miller, writing in the latest issue of Courier, a multilingual MWC publication, supports the ‘Agape Call’ of the World Council of Churches and the ‘Micah Challenge’ of the World Evangelical Alliance, stating the biblical and theological case for involvement in the UN Millennium goals to halve world poverty by 2015. Evangelicals have traditionally adhered to the Gospel directive to function as “salt” (Matthew 5:13) and “light” (Matthew 5:14) in the world. This Scripture was not traditionally laden with dominionist connotations. What it means is that Christians, by their individual or church-based acts of compassion, can make a difference in the lives of people. And by a holy and righteous lifestyle that matches a biblical profession of faith, Christians can make a positive difference within their culture. Being “salt and light” also means that there is a duty to do good in the face of evil (Romans 16:19). The Scripture speaks of a type of separation between Church and State that forbids unholy coalitions. When a financial Church-State question was posed by the chief priests and scribes to the Lord Jesus Christ, He answered, “Render therefore unto Caesar the things which be Caesar’s, and unto God the things that be God’s” (Luke 20:25) While believers have a responsibility to obey the laws and rulers of the land (Romans 13), they are also required to “obey God rather than man” (Acts 5:29), especially when the truth of the Gospel message is at stake. The dominionist collaborations effectually function as a conspiracy against Scriptural truth (Jeremiah 11:9-10; Ezekiel 22:25-30). This kingdom being built is not of Jesus Christ OF the Bible. It is not FOR the Jesus of the Bible. It has nothing to do with Him, but everything to do with an antichrist zeitgeist that is frightening, appalling and massive in its build-up. At the present time it is still possible for seekers after truth to access the old doctrines and old sermons in books and on the Internet. The time has nearly come when these traditional Gospel doctrines will be declared heretical and a threat to the false king and kingdom that are being set up. And he cried mightily with a strong voice, saying, Babylon the great is fallen, is fallen, and is become the habitation of devils, and the hold of every foul spirit, and a cage of every unclean and hateful bird. For all nations have drunk of the wine of the wrath of her fornication, and the kings of the earth have committed fornication with her, and the merchants of the earth are waxed rich through the abundance of her delicacies . . . .
1. “Dominion Theology,” Sara Diamond, article posted at http://zena.secureforum.com/Znet/zmag/articles/feb95diamond.htm). Sara Diamond authored Spiritual Warfare: The Politics of the Christian Right (South End Press, 1989) which provides some history of the rise of modern evangelical dominionism. Her perspective comes from the political Left. 2. “Editor’s Note,” special issue “God and Country: Where the Christian Right Is Leading Us,” Dec. 2005 p. 5. 4. Sara Diamond, Ibid, Internet article. 5. Matthew Henry Study Bible, A. Kenneth Abraham, Ed., (Tyndale House, 1986), p. 1207. Henry is commenting on Psalms 149:6 “Let the high praises of God be in their mouth, and a twoedged sword in their hand” which has been given a new dominion connotation. 6. Al Dager, Vengeance Is Ours: The Church In Dominion (Sword Pub., 1990), p. 87. This book is a historical “encyclopedia” of the history of modern dominionism, clearly demarking the various sects. Dager approaches the subject from a Christian perspective. His book is available through http://www.discernment-ministries.org. 7. Lynn & Sarah Leslie, “Resurrecting Pagan Rites,” http://www.discernment-ministries.org/ResurrectingPaganRights.pdf. This article series examines the roots and rise of the Promise Keepers’ movement. 8. http://www.tribeissachar.com/. The mixture of contemplative spirituality with the spiritual warfare sect is coming in through the Emergent church, mainline denominations and purpose-driven. See http://www.whitedoveministries.org/content/NewsItem.phtml?art=254&c=0&id=30&style=1; or http://tinyurl.com/87b4v. 10. See documentation at http://www.deceptioninthechurch.com/addendum-haggard.html and http://www.deceptioninthechurch.com/haggardelected.html for the history of Haggard’s entanglement with this sect of dominionism. 11. 11/01/05, Global Link newsletter Global Harvest Ministries. 12. Al Dager, The World Christian Movement, (Sword Publ., 2001). This book reads like a sequel to Vengeance Is Ours by the same author (see footnote 5). It is a cursory look at the rise of the modern mission movement, its roots and doctrines, from a Christian apologetics perspective. Available at http://www.discernment-ministries.org website. 15. Vengeance Is Ours, pp. 235-258. 16. The author has a copy of this letter. A subsequent COR conference was attended by Cynthia Weatherly and reported upon in The Christian Conscience magazine, “From SPIRITUALIST and Spiritual TWIST?” Nov. 1996, pp. 64-65. 17. Vengeance Is Ours documents the rise of the dominionists and their interconnections. At hHYPERLINK "http://www.discernment-ministries.org/"ttp://www.discernment-ministries.org there is an archive of past newsletters that focuses on the Latter Rain dominionists. The World Christian Movement documents the history of the mission dominionists. Also see http://www.herescope.blogspot.com which frequently posts historical material. 19. Vengeance Is Ours, p. 235-236. 20. Disciple the Nations, http://disciplethenations.org/LMEMNVision.html#Discipling. 22. Explorer, No. 23, 11/06/00, http://www.leadnet.org/epubarchive.asp?id=41&db=archive_explorer. The Leadership Network has been a pivotal organization to turn Christian pastors into “change agents” through its leadership training. 23. This point is documented at www.deceptioninthechurch.com/ditc12-10.html. 24. See article posted at http://www.discernment-ministries.org/NLMayJune_2005.htm, “The Global Day of Prayer” and its sequel, “The Second Reformation” at http://www.discernment-ministries.org/NLJulyAugust_2005.htm, both authored by Sarah Leslie. These two articles present the current history of Rick Warren’s connection to the Global Day of Prayer, and his Africa project. 28. See http://www.discernment-ministries.org/NLMayJune_2005.htm and its sequel http://www.discernment-ministries.org/NLJulyAugust_2005.htm (see footnote 22). 30. See a transcript of Wagner’s speech posted at http://www.deceptioninthechurch.com/arise.html. Also see http://www.marketplaceleaders.org/articles_view.asp?articleid=5682&columnid=743, C. Peter Wagner's Foreword to Faith@Work Movement book by Os Hillman. Os Hillman is a key player in marketplace transformation. 31. Business Reform interview with Ed Silvoso of Harvest Evangelism, “The Heart of A Nation,” (01/07/05) at http://tinyurl.com/akwd2. Ed Silvoso, from both mission and spiritual warfare sects, is one of the architects of global marketplace reform. 32. John Cragin, Chapter 15, "The Business of Missions -- The Missions of Business," On Kingdom Business: Transforming Missions Through Entrepreneurial Strategies (Crossway, 2003), edited by Tetsunao Yamamori and Kenneth A. Eldred. The quote is a perfect example of the influence of Peter Drucker’s ideology. 33. See http://www.discernment-ministries.org/NLMayJune_2005.htm and its sequel http://www.discernment-ministries.org/NLJulyAugust_2005.htm (see footnote 22). 34. Rick Joyner, "TAKING THE LAND--We Are Establishing Our Eternal Place And Position Here On Earth" 11/29/05, http://www.elijahlist.com/words/display_word.html?ID=3617. Rick Joyner was one of the “Kansas City Prophets” who now wields considerable influence through his “prophecies” about a coming militant church. 36. Eric Alterman, “Neoconning the Media:A Very Short History of Neoconservatism,” 04/22/05 at http://www.mediatransparency.org/story.php?storyID=2. 37. Vengeance Is Ours documents the ties with Identity, e.g., p. 67. Also see Russ Bellant’s three books: Old Nazis, the New Right and the Republican Party (South End Press, 1988); The Coors Connection: How Coors Family Philanthropy Undermines Democratic Pluralism (South End Press, 1988) and The Religious Right in Michigan Politics (Americans for Religious Liberty, 1996). Bellant approaches the subject from the political Left perspective. His historical research goes back over sixty years. 41. Warren Smith, “Evangelicals and New Agers Together,” article posted at http://www.erwm.com/EvangelicalsandNewAgers.htm. It must be noted that there is a common Gnostic link between Theosophists and the Latter Rain cult. See Strange Fire (footnote 8) for more information. 42. Warren Smith, Reinventing Jesus Christ, book posted on-line at http://www.reinventingjesuschrist.com. This book chronicles the recent connections between Theosophists and leading evangelicals. A second edition with updated information will come out this Spring. 43. Warren Smith, “Evangelicals and New Agers Together,” Ibid. 44. http://www.presence.tv is an example of an entire ministry built around a new doctrine. Jay Gary has been a significant player, cloaking his dominionism in the rhetoric of “futurism.” He openly networks with the Theosophists. He is part of the World Network of Religious Futurists, an influential organization with theosophical underpinnings. See http://www.wnrf.org/cms/associates.shtml and http://www.wnrf.org/cms/faq.shtml. 45. See postings at http://www.herescope.blogspot.com for historical documentation. 46. In addition to the information on this topic which could be found at http://www.mediatransparency.org website, this author has personal experience in this realm and was an eyewitnesses during the 1980s to the Christian Right’s close financial and organizational ties to Moon. 47. Maitreya, Messages from Maitreya the Christ, (Share International Foundation, 2001), p. 248. 49. Rifkin, Jeremy with Ted Howard. The Emerging Order: God in the Age of Scarcity (G.P. Putnam’s Sons: New York, 1979), “See introduction,” pp. ix-xii. The book is a blueprint on how to network charismatics and transform their theology. 50. Lynn & Sarah Leslie, “What Is Transformation?” article posted at http://newswithviews.com/Leslie/sarah.htm. 53. “The Vision: THE KINGDOM FOCUS,” International Christian Chamber of Commerce, http://www.icccreg.net/pages.asp?pageid=20404. See footnote 12. 54. For example, see a series of posts on http://www.herescope.blogspot.com (Sept/Oct. 2005) pertaining to Evangelical Consultations about the future held in the late 1970s. These Consultations not only linked Leftist evangelicals to the emerging dominionist mandate, but also brought in leading Theosophist Willis Harman to help create new theologies for the future. 57. See http://www.alertacademy.com for starters. Gothard, who revivifies many Old Testament doctrines, appeals to a wide spectrum of evangelicals for varying reasons. His organizations function in a secretive cult-like manner. 58. Vengeance Is Ours, p. 252. 59. http://www.phc.edu/teencamps/. Note: homeschoolers are an extremely diverse group and cannot be lumped into the dominionist camps solely on the basis of the free choice they exercise in educating their children at home. Michael Farris and his organization, Home School Legal Defense Association, attempt to represent home educators politically in Washington, to the chagrin of the non-dominionist homeschoolers. 62. “WNRF Marks 25 Years of Religious Futurism,” by Dr. Rev. Richard Kirby, World Network of Religious Futurists, 7/20/05, http://www.wnrf.org/cms/print_religious_futurism_25years.shtml. See footnote 42.
http://www.whitedoveministries.org/content/ArchivesItem.phtml?art=163&c=0&id=11&style=2 . Bob Jones is a Latter Rain sect leader. 65. “End scandal of poverty in churches, says Mennonite leader,” 05/12/05, http://www.ekklesia.co.uk/content/news_syndication/article_05125menno.shtml>. This quotation is an example of the widespread diffusion of dominionist ideas. Mennonites are Anabaptists who traditionally do not hold to these doctrines. 66. The author was an eyewitness to the compromises of the faith that occur when political and financial coalitions take precedence biblical truth. See “How Can There Be Revival Without Repentance,” by Lynn and Sarah Leslie posted at http://www.discernment-ministries.org/2001_SeptemberOctober.pdf. 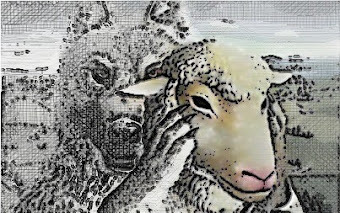 See also Lynn D. & Sarah Leslie, “The Shepherding Movement Comes of Age,” http://www.discernment-ministries.org/NLjanfeb_2003.htm. This article explores the content of the covenants that must be signed in the purpose-driven church movement. 67. Rev. Charles Spurgeon, “Christ’s Universal Kingdom and How it Comes,” http://www.spurgeongems.org/vols25-27/chs1535.pdf. Spurgeon’s sermons are a good source of old-time doctrines, which provide a stark contrast to modern dominionism. Grateful acknowledgement is made to independent researcher Susan J. Conway and Steve Muse of Eastern Regional Watch Ministries (http://www.erwm.com) for their invaluable research assistance in this project. Sarah H. Leslie is a former Christian Right leader in homeschooling and right to life. She has authored many articles on education reform and Christian apologetic issues. She and her husband Lynn published The Christian Conscience magazine and several books They currently sit on the board of directors of Discernment Ministries, Inc.